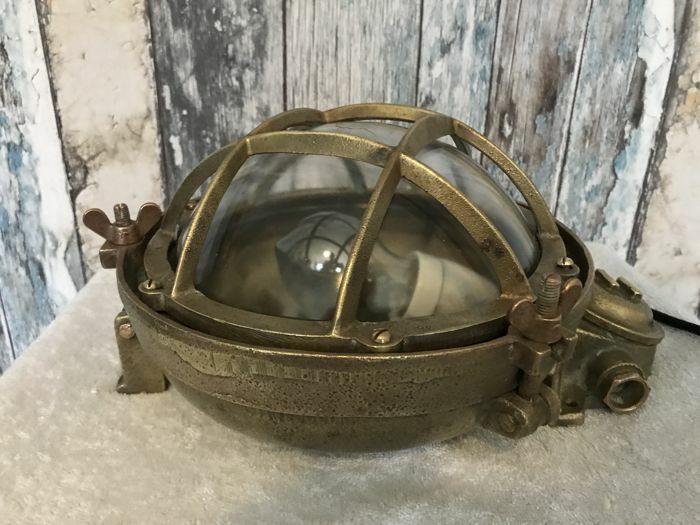 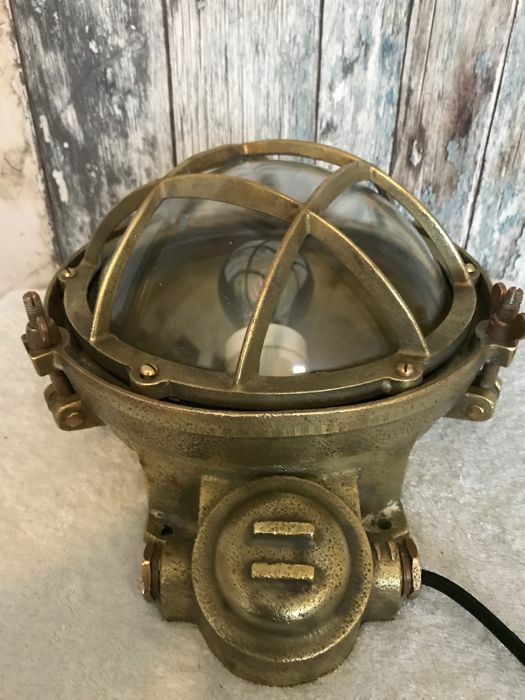 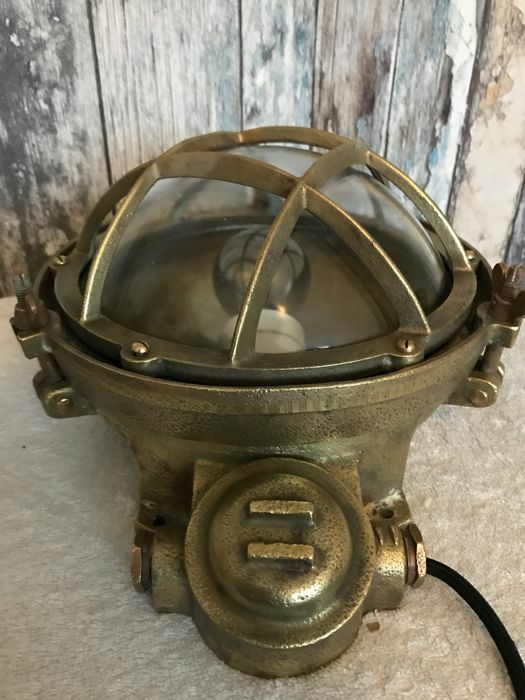 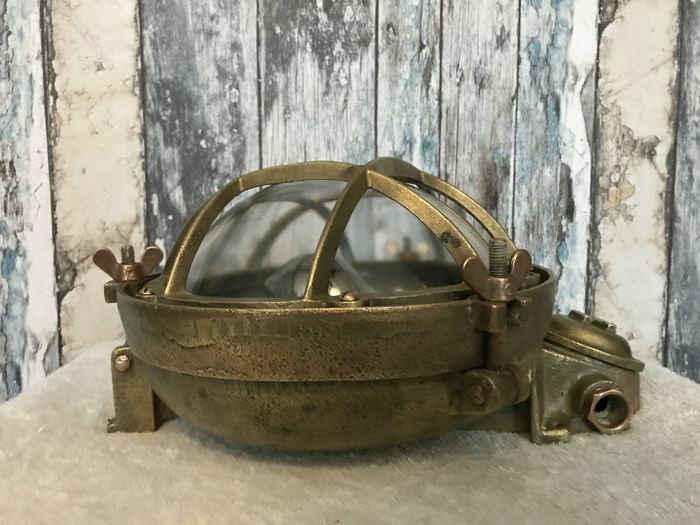 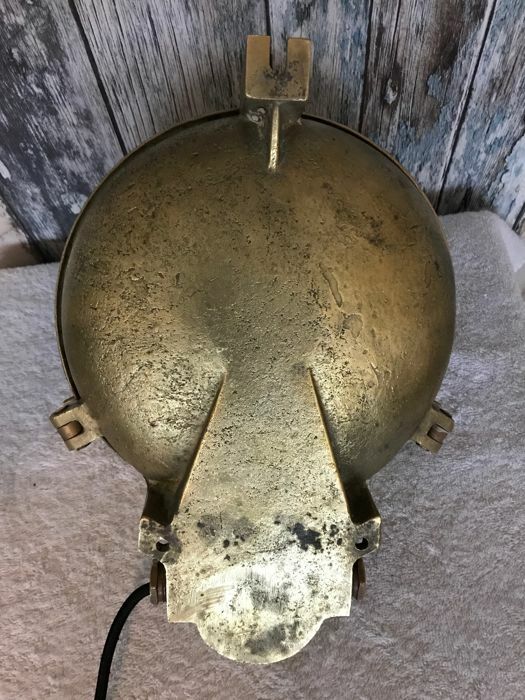 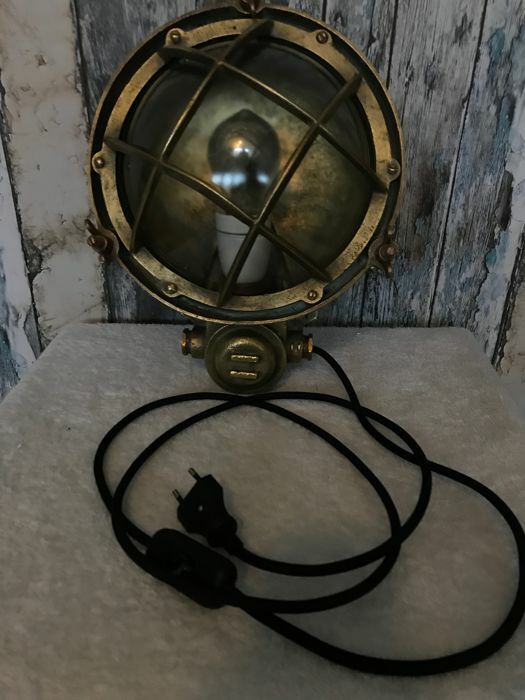 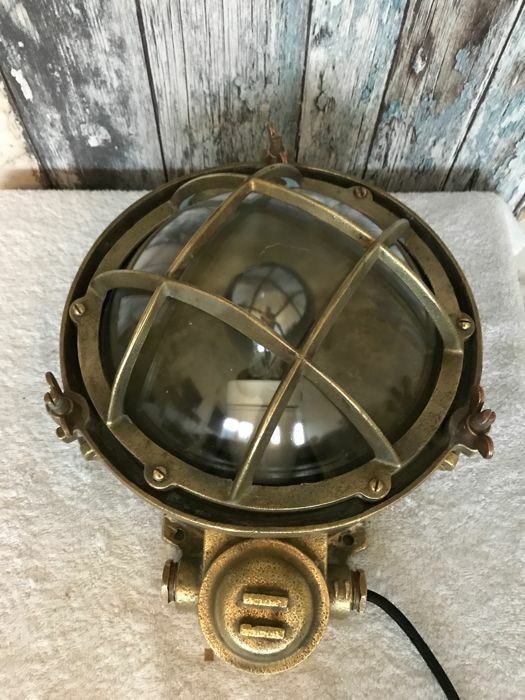 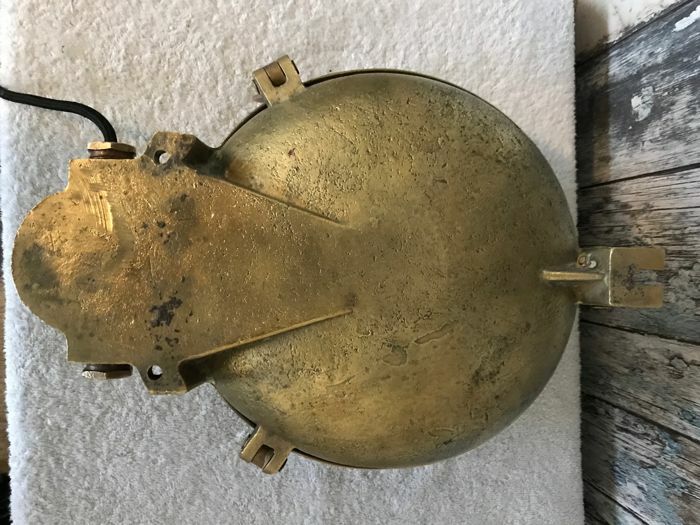 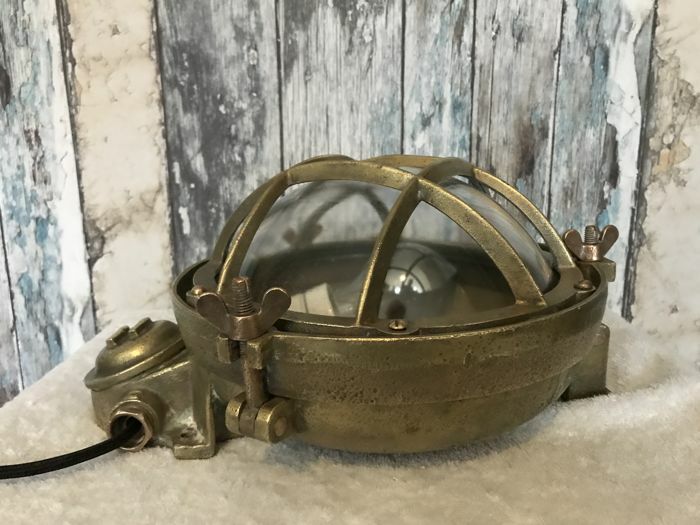 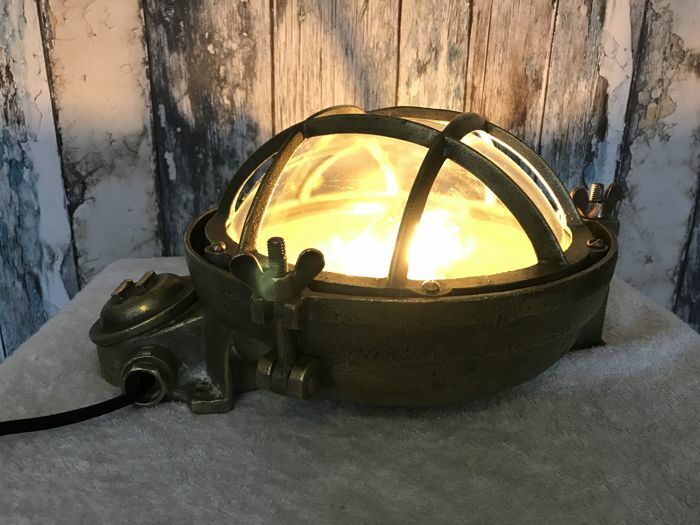 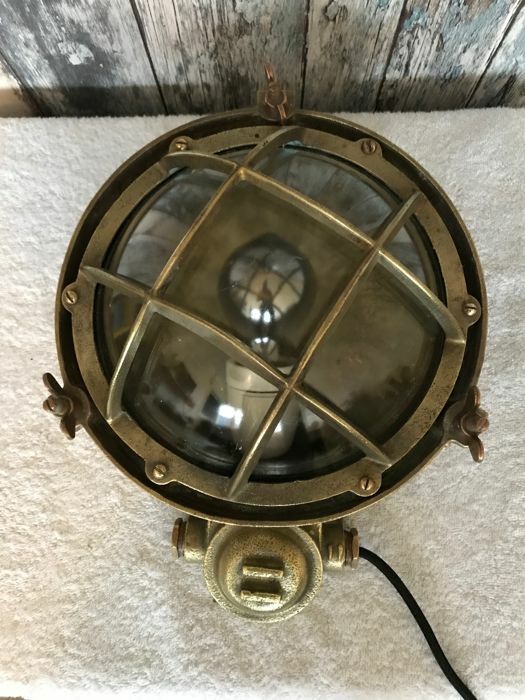 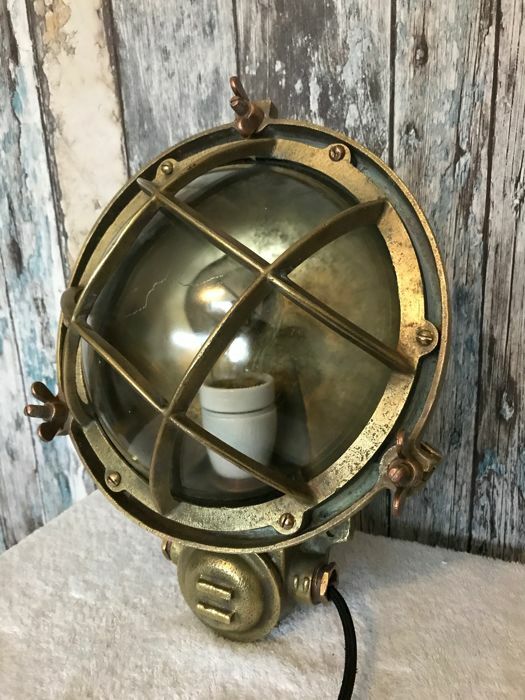 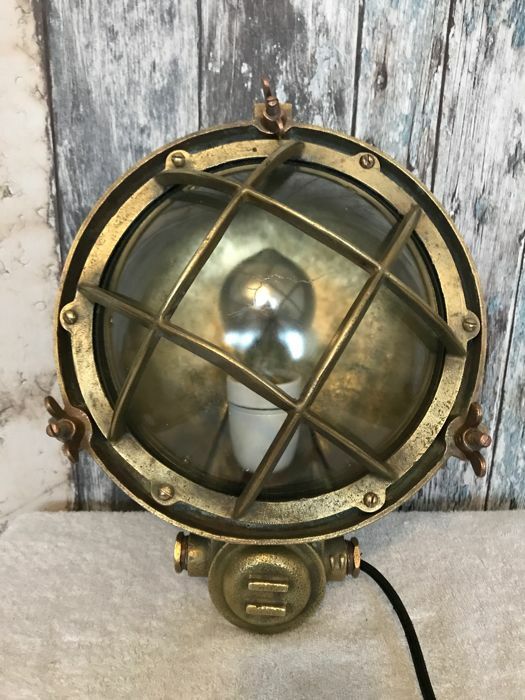 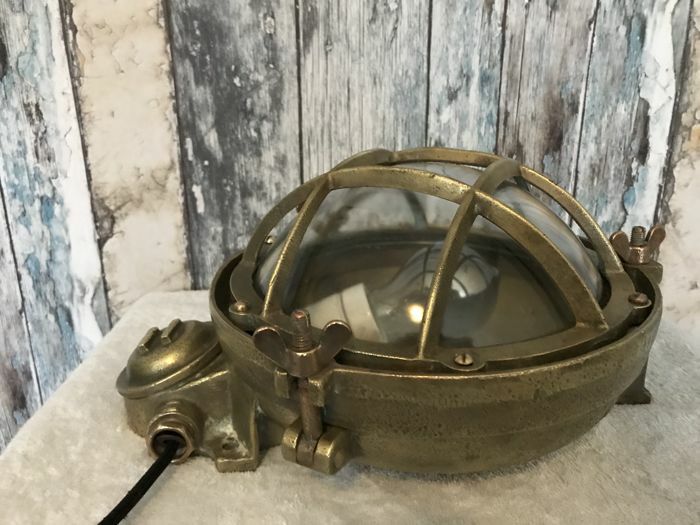 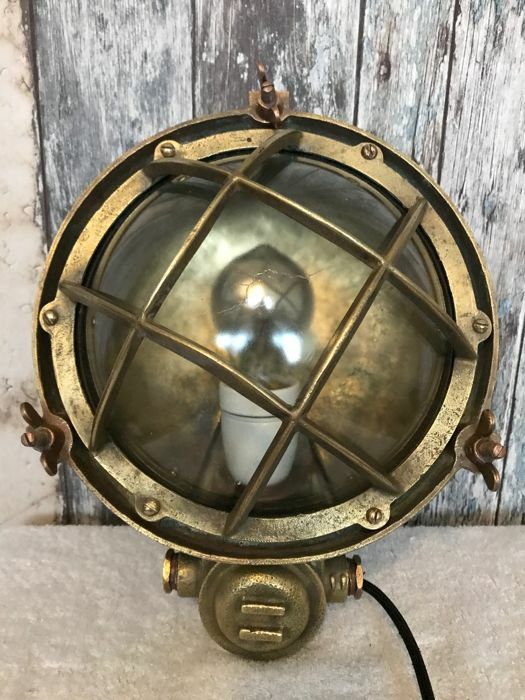 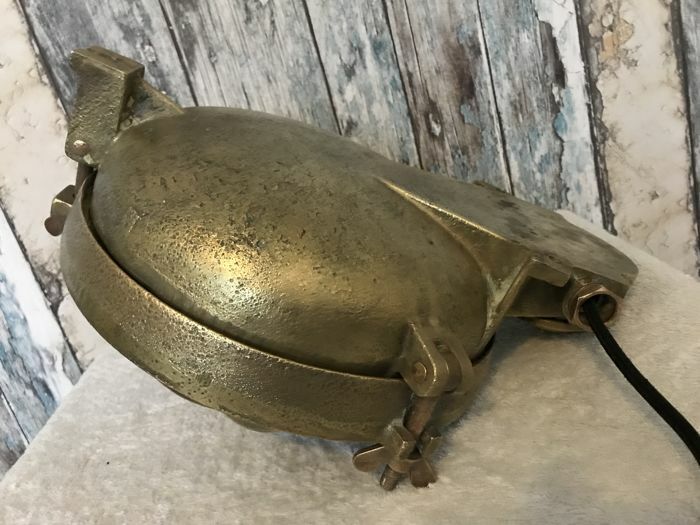 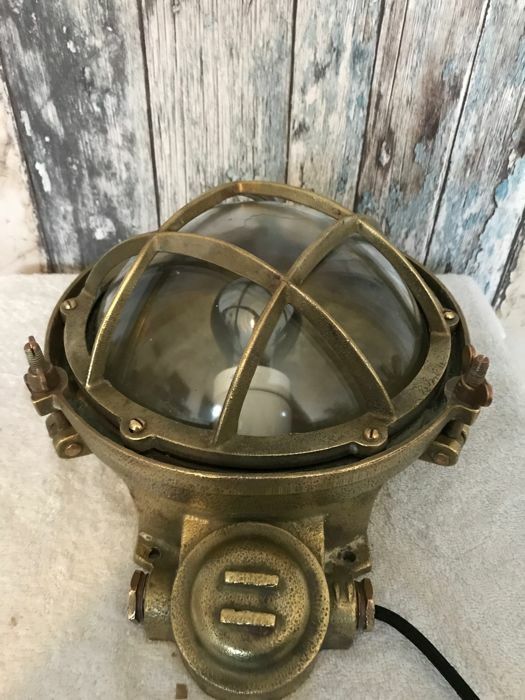 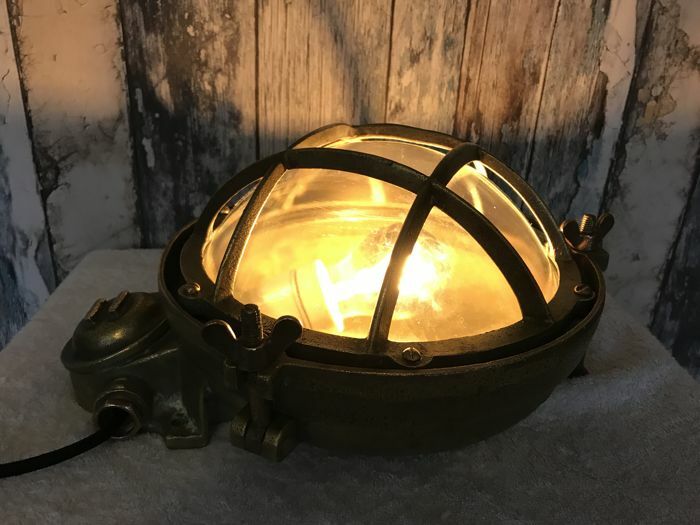 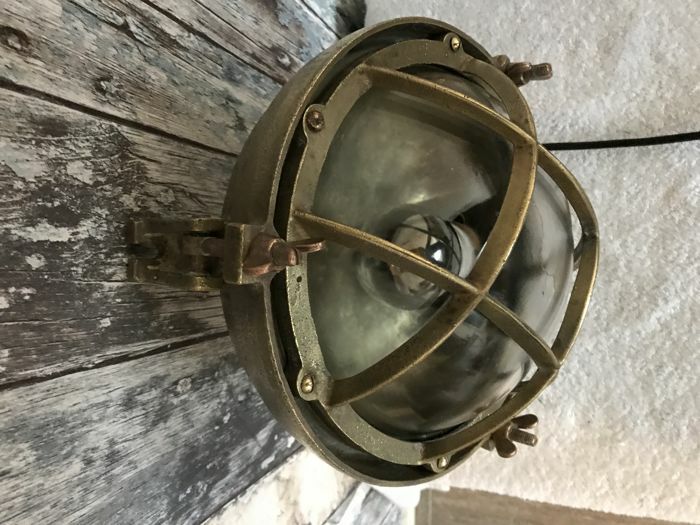 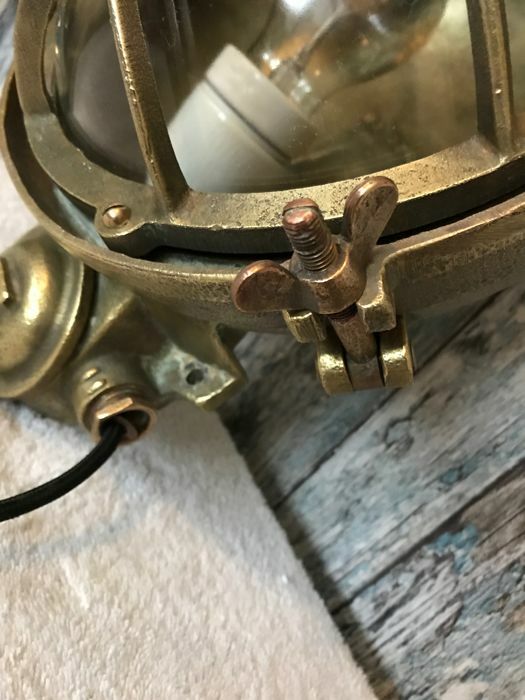 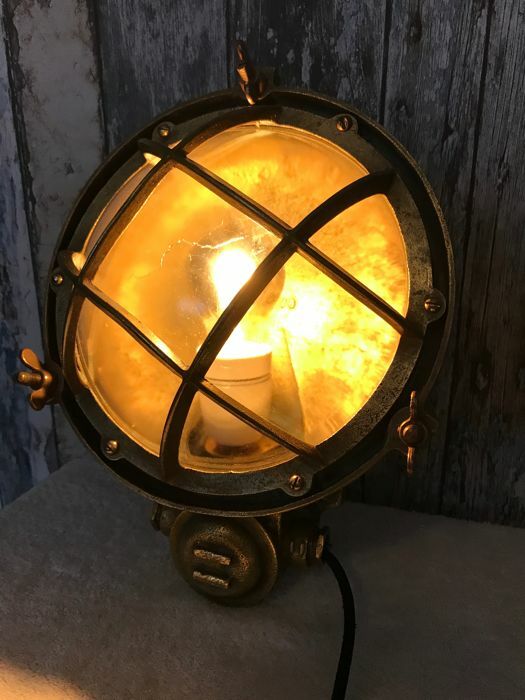 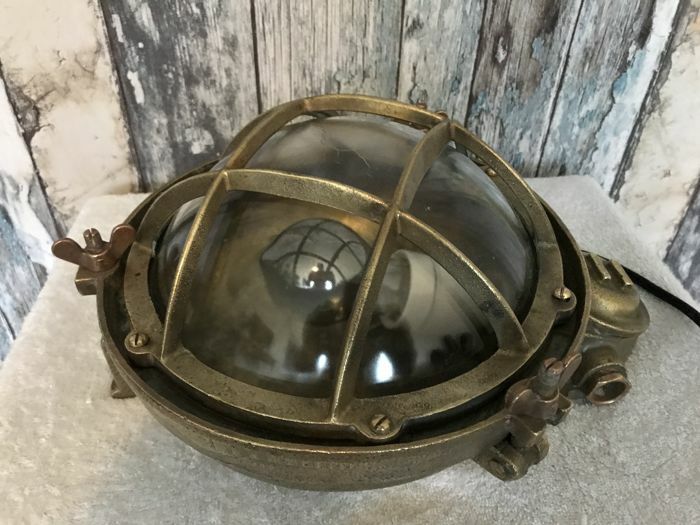 Very heavy bronze ship’s deck wall lamp Waterproof model with original connect rubbers. 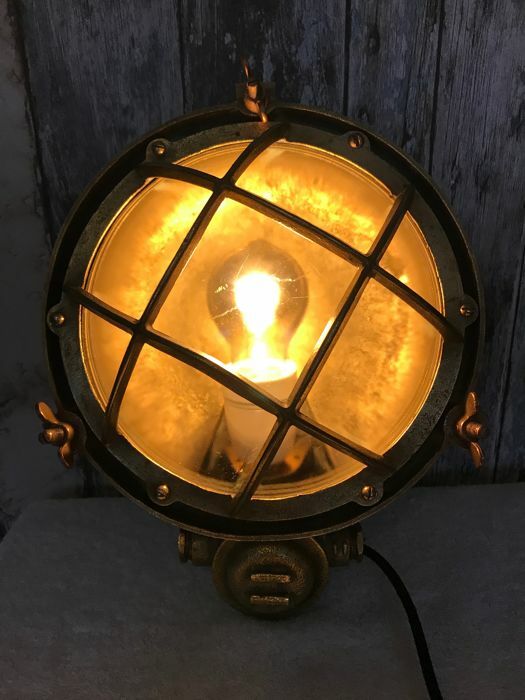 Absolutely flawless. 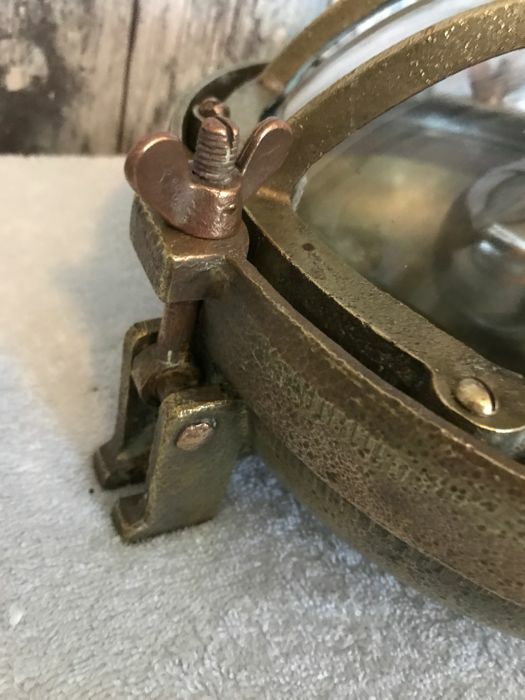 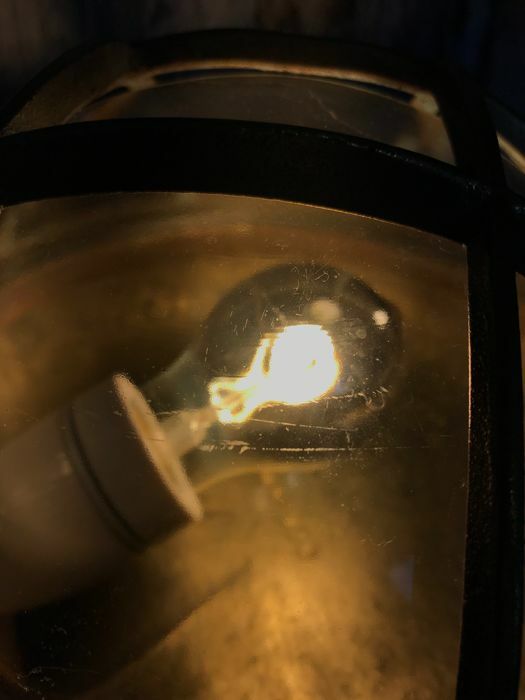 The lamp can be opened by unscrewing the wing nuts. 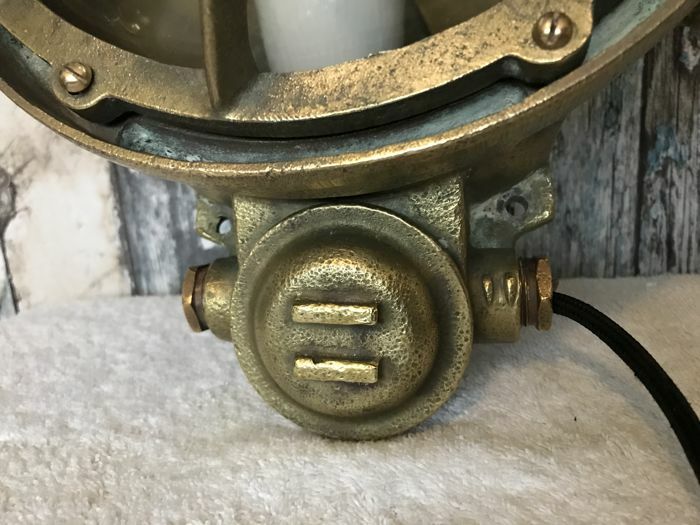 The cover on the front is easy to unscrew at the wiring, this box still contains the original porcelain lining. 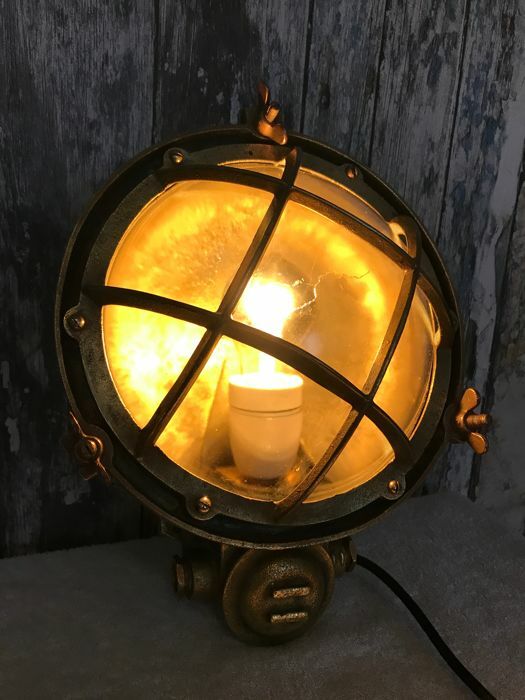 The lamp is made to wall lamp that can be used directly. 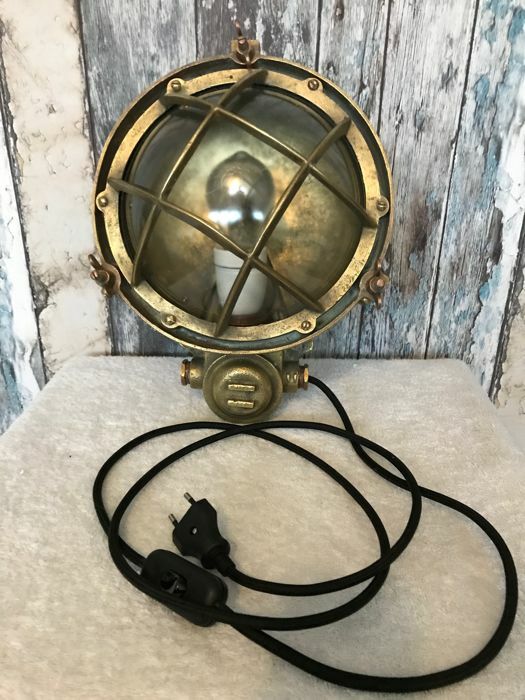 The lamp is equipped with new wiring with fine iron cord with black fabric casing and new plug and switch and new porcelain socket. 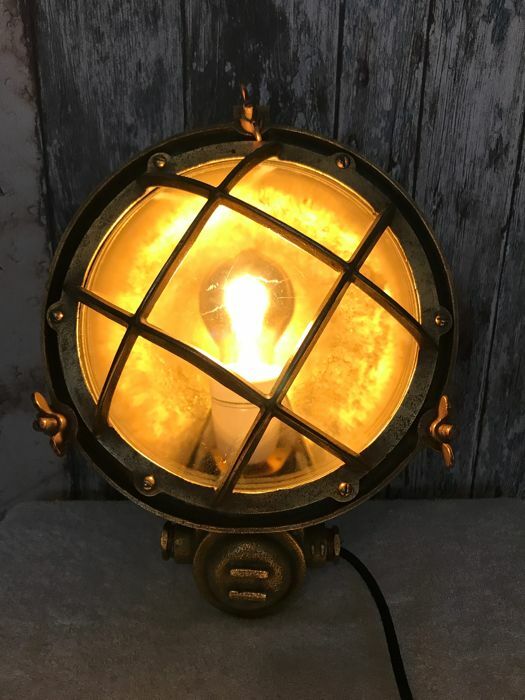 The lamp comes with the new led Edison lamp gives beautiful atmospheric light a real eye catcher. 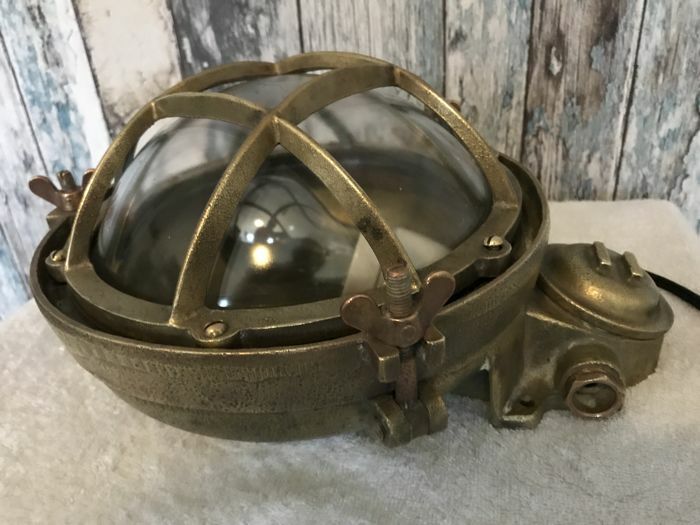 See the many added pictures which are part of the description. 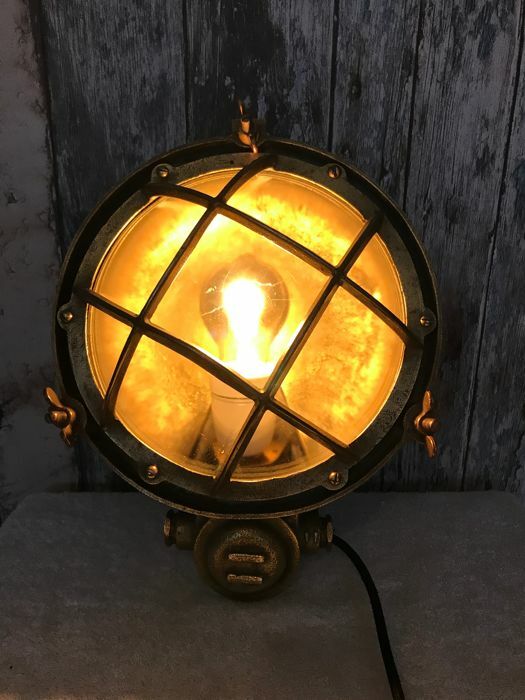 Will be carefully packaged and sent registered by PostNL. 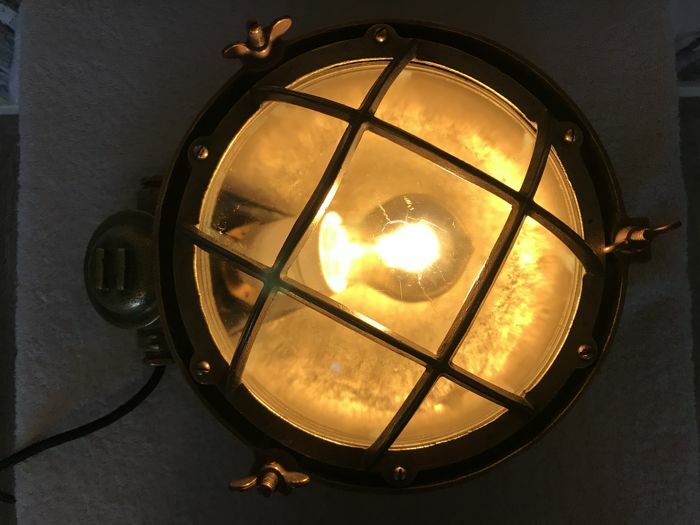 Einwandfreie Abwicklung. 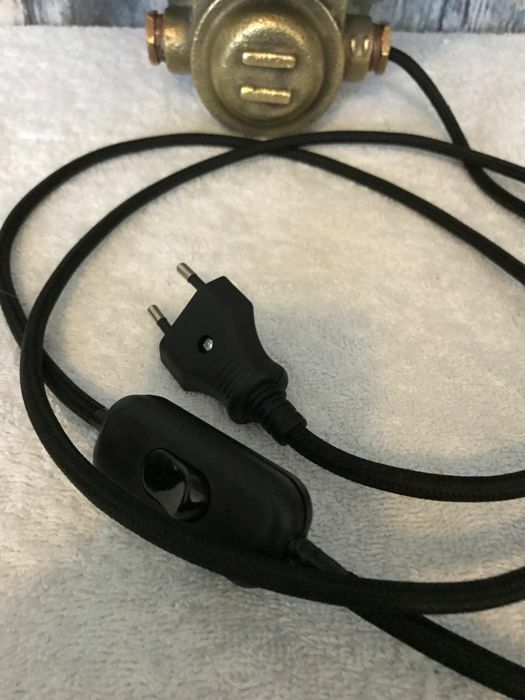 Alles wie beschrieben und schneller, gut verpackter Versand. 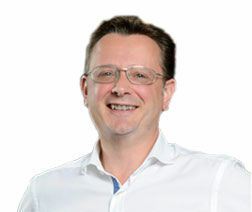 Gerne jederzeit wieder.